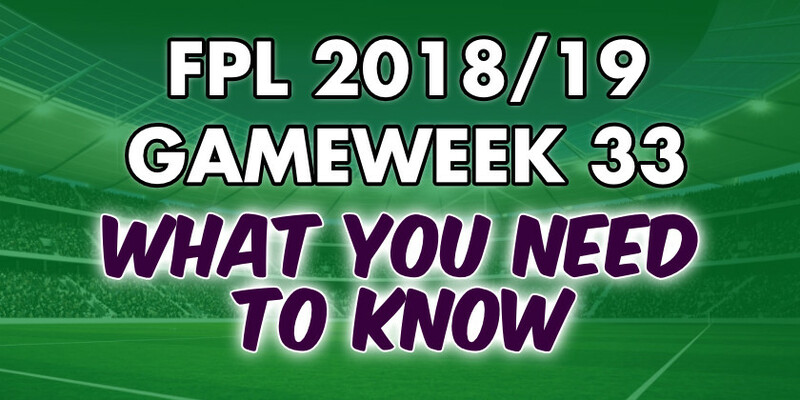 A big Double Gameweek into one with blanks – the nature of Fantasy Premier League. Gameweek 33 clashes with the FA Cup semi-finals which means there are only 6 fixtures. Given the 15 fixtures in Gameweek 32, the scoring was unsurprisingly huge. The average points were at 73, while the highest points reached a season high of 174. Man City understandably were the go to players for the week, having fixtures against Fulham and Cardiff. Sergio Aguero was the most captained and Raheem Sterling the most transferred in. 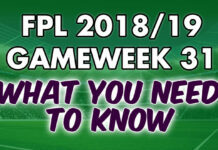 Neither featured against Cardiff and while Aguero got 10 points against Fulham, Sterling disappointed with a return of three points. Christian Eriksen was the highest scoring player on the gameweek after returning 20 points in fixtures against Liverpool and Crystal Palace. Here is our Fantasy Premier League Gameweek 33 cheat sheet. 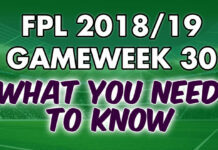 Naturally the FPL Gameweek 33 captain choice is limited because of the lack of fixtures. However, the decision is relatively simple between those who remain. It would be hard to look beyond Eden Hazard if you have him. Chelsea are the only top 6 team to play at home. Hazard’s form, coupled with hot and cold opponents in West Ham, make him the premium captain choice. Elsewhere, there are only two other options really. Mohamed Salah and Sadio Mane between them are odds on to score away to Southampton. It is a fixture Liverpool must win and both will be certain to start.